A while back, I was laying on the couch with a sick kiddo finally sleeping, even though that meant she was literally sleeping on top of me, I was thinking about what it means to be a mom. Eating lunch with one hand while holding her baby in the other arm. Knowing every single word to every single song in every single Mickey Mouse Clubhouse episode. 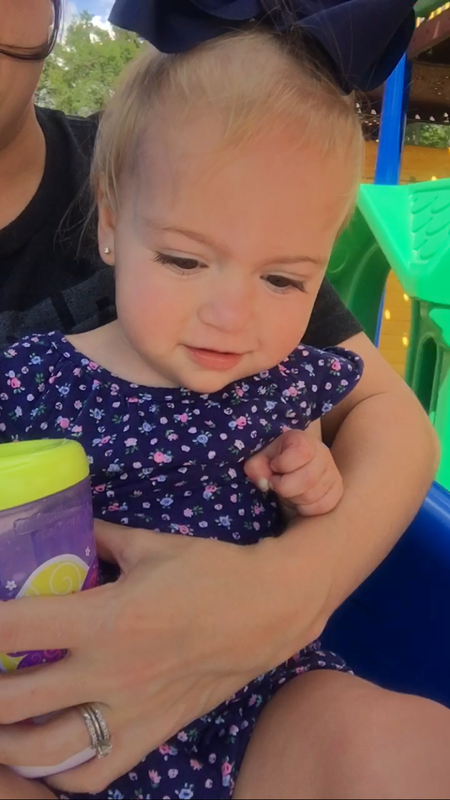 Cheering on daddy, as he spends way too much money throwing darts at balloons at the fair, just to win our baby girl the stuffed dinosaur she fell in love with. Feeling helpless when they’re sick and can’t tell you what hurts. Finding snacks in all. the. places. Mastering the quickest showers on Earth. Laying in bed at night, scrolling through the several dozen pictures you took of her that evening and wondering what you ever did with yourself without her.